The greatest fighter I have ever seen is Fedor Emelianenko. Also known as “The Last Emperor,” Emelianenko is a living legend in mixed martial arts circles. For me, what has always made Fedor so great was his propensity to win in the face of imminent defeat. The ability of Emelianenko to look nearly godlike while at the same time strikingly human. With few exceptions, Fedor is almost always the smaller man in the cage; it goes without saying that Emelianenko is a true giant killer. “The Last Emperor” will compete for the Bellator Heavyweight championship on January 26, 2019 against UFC veteran and current Bellator Light Heavyweight champion Ryan “Darth” Bader in the Bellator Heavyweight World Grand-Prix tournament final which will air on the Paramount channel this upcoming Saturday night. 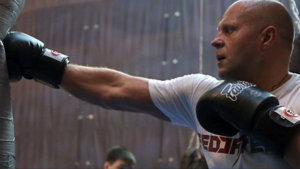 There is something special about Fedor Emelianenko. It’s the same thing that makes the lineal heavyweight boxing champion Tyson Fury great: the heart of a lion, as exemplified by Fury getting off the deck in the 12th round after being knocked unconscious by WBC Heavyweight champion Deontay Wilder. In a fight Fury was winning from early on, “The Gypsy King” was well on his way to victory until in the twelfth and final round Fury got his clock cleaned by a thunderous one-two combination from “The Bronze Bomber.” Fury, in a matter of seconds went from the next WBC Heavyweight champion of the world to knocked unconscious. And seemingly before our very eyes Fury returned from the dead, rising much the same as the legendary professional wrestler “The Undertaker” whose supernatural persona electrified audiences. Only Fury did it for real, rising from being knocked stone cold unconscious to going on to be competitive if not winning the remainder of the exchanges in the round. This is the stuff legends are made of and it is a glimpse of what has made Emelianenko great from virtually the beginning of his career. The ability to look supernatural even in the face of being brought down to earth by opponents who themselves are tremendous fighters and athletes in their own right. Throughout Fedor’s career he has routinely displayed the ability to come back from seemingly incontrovertible odds and seize victory from the jaws of defeat. Emelianenko truly does have the heart of a lion and it’s for these reasons alone he can never be counted out of a fight. If there ever was a fighter who fought with divinity in his corner, “The Last Emperor” is that athlete. Ryan “Darth” Bader is “The Ultimate Fighter” season 8 winner and a 20 fight UFC veteran. An exceptional fighter that possesses power in both hands, Bader has a particularly effective left hook that has iced more than one opponent and therefor it needs to be accounted for at all times in the cage. Ryan has faced a murderer’s row of opponents at light heavyweight, only losing to some of the most dangerous fighters in the sport today. While not a particularly orthodox striker, Bader’s athleticism and fight acumen make him a game and dangerous opponent because his strong wrestling base means the looming threat of the take down is always present. Bader is a younger, fresher opponent than Emelianenko with an all-around mixed martial arts game that makes him a handful for even the toughest opponents. With a current six fight win streak, including two consecutive victories in the Bellator Heavyweight Word Grand-Prix tournament against Muhammed Lawal and Matt Mitrione, Bader has a chance to become the first two division champion in Bellator history and cement his rightful spot as among the top fighters in the sport today against an opponent nearly universally renowned as the best to ever do it. In a December 22, 2018 mmafighting.com article by Guilherme Cruz titled, “Coach details path to victory for Ryan Bader against Fedor Emelianenko” coach Jair Lourenco believes the keys to victory for Bader are speed, not allowing Fedor to become comfortable in the cage and perhaps most importantly not giving the Russian so much respect that it effects Bader’s own game plan. For Emelianenko, eating lightning and crapping thunder is the key to victory. The Russian legend needs to nullify the athleticism of the younger Bader, 35, stop the takedown and showcase his diversified mixed martial arts skillset. Fedor possesses both the ability to stop Bader on the feet or submit him with Emelianenko’s world class combat Sambo grappling background. Though Emelianenko is many years past his physical prime, this is the Bellator Heavyweight World Grand-Prix tournament final. Even at his advanced age of 42, to make it this far in the tournament proves the Russian legend is still a very dangerous opponent. This is a legacy fight for both fighters, though they enjoy very different positions in the hierarchy of greatness. For Emelianenko, he is already widely considered the greatest mixed martial arts fighter to ever live. A victory Saturday night will only serve to further cement his reputation as a fighter who managed to transcend generations and recapture a modern, major heavyweight title even when there was nothing left to prove. The fact he is even in the tournament final in 2019 proves what kind of sportsman he is; win, lose or draw Fedor will always be remembered as the great champion that he is. For Bader, this is an opportunity to become a two-division champion and defeat one of the greatest fighters of our time. Already a Bellator Light Heavyweight champion, to capture the Bellator Heavyweight title against “The Last Emperor” is an opportunity every fighter dream of and is without question the kind of victory to hang your hat on. Tune in Saturday night, January 26, 2019 to the Bellator Heavyweight World Grand-Prix tournament final featured on the Paramount channel and bring your popcorn; win or lose this is among our last chances to see a true legend compete at the highest levels in the sport today.